This post will be updated as new articles appear. 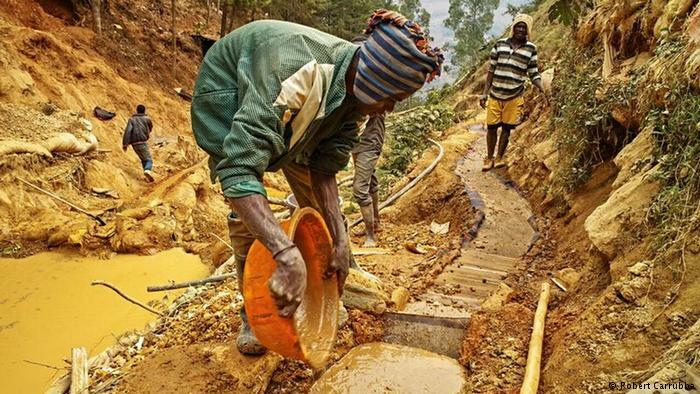 For the people in the eastern DRC, small-scale gold mining is a key source of income. The workers risk their lives digging for the ore, which passes through many hands before it becomes a gleaming bar of pure gold. Second, an indirect effect on health care and child mortality has been documented. Researchers from the United Nations University conclude that the probability of infant deaths near the policy-targeted mines increased by at least 143%. This they attributed to mothers’ reduced access to infant health care. The law’s impact on reducing conflict, however, is harder to ascertain and dismissed by some as non-existent. Autesserre wrote that an over-emphasis on “conflict minerals” had come at the cost of neglecting other crucial factors. However, advocacy groups like the Enough Project, Amnesty International, and Global Witness constantly push the link between minerals and conflict and appear reluctant to genuinely accept and address the law’s shortcomings. This view was echoed by several employees from other advocacy organisations – all of whom preferred to remain anonymous. Some declined on-the-record interviews out of concern for their job prospects. 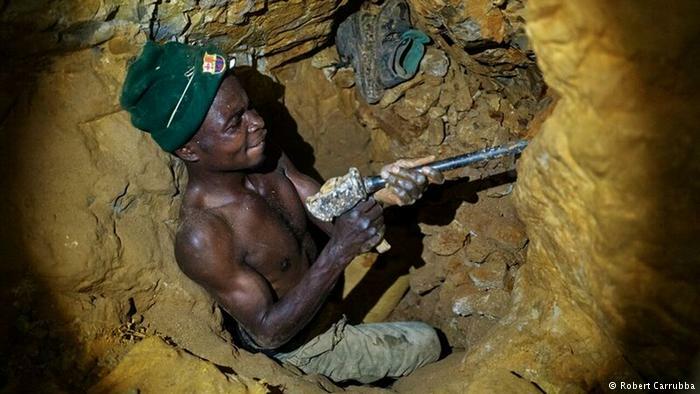 Who pays the hidden price for Congo’s conflict-free minerals? Valentin was in trouble. His arms were tied behind his back and he couldn’t move. The sun was beating down in the courtyard of the mining company where he and his friends were being held. The men had been arrested by mining police for peacefully protesting the low price of the coltan ore they had dug out by hand from deep narrow shafts in the Democratic Republic of Congo. Western activists have sought to help end violence in Congo by championing conflict-free mineral policies that aim to stop armed groups profiting from the trade. But thousands of miners like Valentin are paying a heavy price. At his mine, Kisengo, a monopoly on clean coltan has kept prices low, reduced revenues, and driven some miners to trade their wares illegally or move into the illicit artisanal gold sector. A measure to curb violence from conflict minerals has caused militias to simply expand their looting. Rep. Barney Frank (D., Mass.) famously said at the time that the bill was supposed to “cut off funding to people who kill people.” But new research shows the regulation has had the opposite effect and escalated violence in the eastern Congo. The SEC was created to help assure investors that their investments are safe. Markedly absent from this congressional mandate is any administrative authority or charge to effect international, diplomatic or human rights-oriented goals. By charging the SEC with achieving goals of foreign affairs, as it has with the conflict minerals provision, Congress has doomed the SEC to fail at accomplishing the provision’s stated goals. Businessweek: A rule aimed at warlords upends African miners. 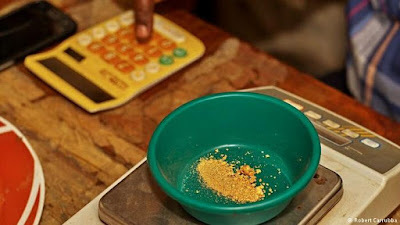 The Economist: The conflict mineral campaign has been a disaster for Congolese. n.b., for a discussion of whether the UN report really said this, see Stearns. "Opportunities for Illicit Gain Only Increased After Conflict Minerals Law"
Politico, "Dodd Frank's Misadventures in the DRC"
"If there is a lesson of 1502, it may be this. It’s relatively easy to source minerals in a warzone and pour them into an international market that demands ever niftier gadgets. But regulating the supply chains of our global economy—without inflicting harm on whole communities by choking off livelihoods in far off lands—is an altogether harder task." "When his father could no longer make enough money from the tin mine, when he could no longer pay for school, Bienfait Kabesha ran off and joined a militia. It offered the promise of loot and food, and soon he was firing an old rifle on the frontlines of Africa’s deadliest conflict. He was 14. But what makes Kabesha different from countless other child soldiers is this: his path to war involved not just the wrenchingpoverty and violence of eastern Congo but also an obscure measure passed by US lawmakers. Villagers call it Loi Obama – Obama’s law." "The campaign to stop conflict minerals is supposed to be protecting people’s lives in one of the most fragile parts of Africa. In fact, it seems to be doing the opposite."